Leave your student accommodation and make your way into Madrid to see the city’s most famous sights. Head to the city’s Art’s Triangle to see works by Velázquez and Goya at Museo del Prado, then admire the 24-metre high vertical garden at CaixaForum. On Sunday mornings go treasure hunting at sprawling flea market, El Rastro. Escape the crowds and treat yourself to delicious churros and dipping chocolate at Chocolateria San Ginés, then meet friends in La Latina, a neighbourhood that’s packed with lively bars and restaurants; try La Corolla for patatas bravas with grilled octopus. 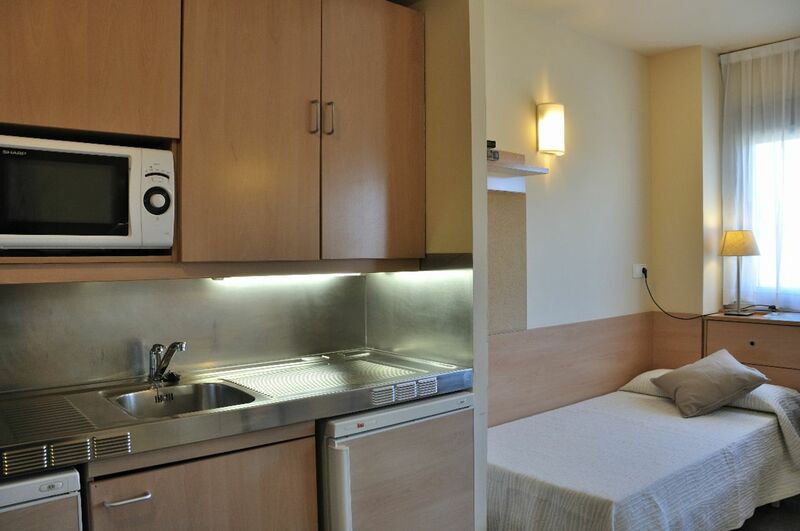 You’ll find it easy to get to university when you live at Residencia Universitaria Erasmo. Walk to Universidad Autónoma de Madrid (UAM) in just seven minutes, or drive to Universidad Europea De Madrid in 13 minutes. 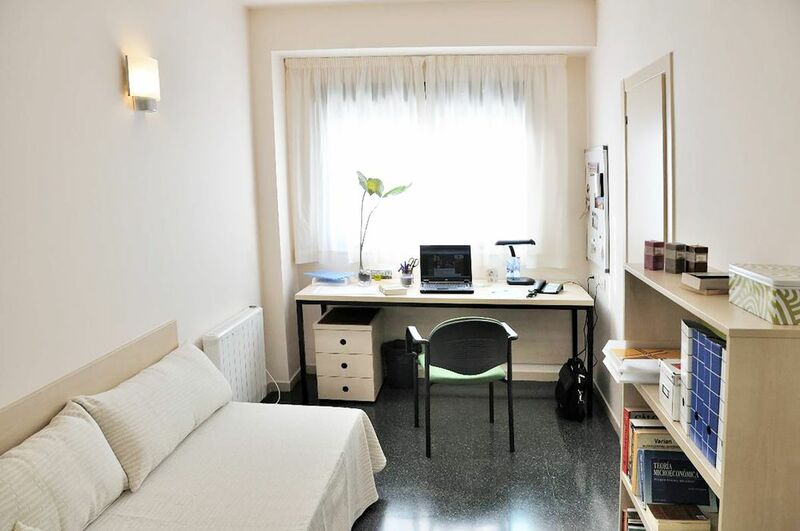 Students at Universidad Pontificia De Comillas De Madrid can take advantage of the excellent public transport links: it’s a 50-minute journey to campus by train or bus. After a long day of lectures, make your way to the recreation room to see who’s around. If you’re hungry, grab dinner in the cafeteria: you can choose to eat there all the time or just for occasional meals, which is handy when you’re too tired or busy to cook in your studio kitchen. If you have any problems, a 24-hour management team will be available to help you. Back in your single or double studio room, drop your books on your desk and freshen up in your modern bathroom. Rooms and common areas are cleaned regularly, and bed linen and towels are changed, so it’s easy to keep your space tidy. When you need to wash your clothes, there’s a self-service laundry facility with washers and dryers. If you need to pick up some detergent, there’s a shop with basic products on site. There’s free Wi-Fi in rooms and common areas, so you can choose where you want to study. When you’ve finished and you need to print your work, you can visit the on-site Cyber Corner. 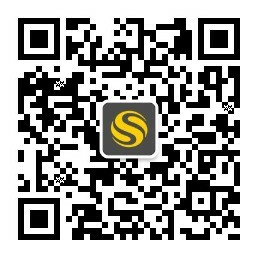 Take advantage of the activities programme when you want to make some new friends. But if you’d rather just relax, there’s a chill out area and outdoor terrace where you can catch up with your reading. Later, head to the fitness room for an evening workout, and refuel with a snack from the vending machine. Wir haben leider keine Unterkunft gefunden, die deinen Wünschen entspricht.Alle Mehrbettzimmer in Residencia Universitaria Erasmo ansehen. 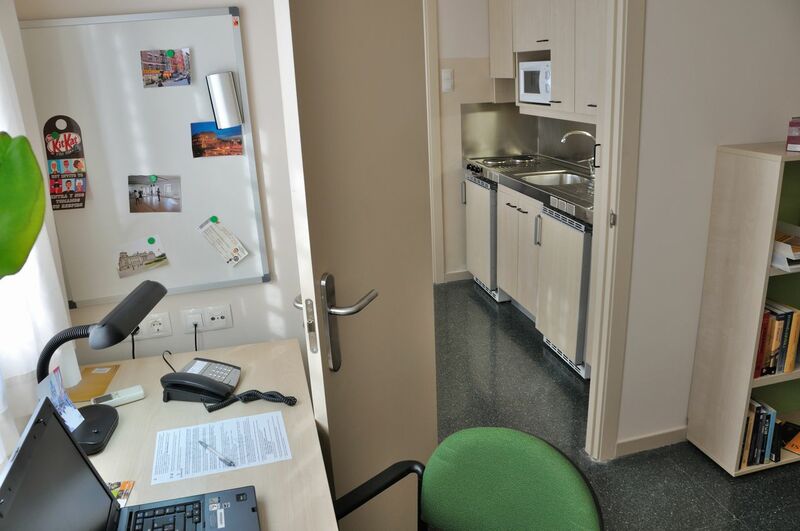 Wir haben leider keine Unterkunft gefunden, die deinen Wünschen entspricht.Alle Privatzimmer in Residencia Universitaria Erasmo ansehen. Wir haben leider keine Unterkunft gefunden, die deinen Wünschen entspricht.Alle Ganze Wohnung in Residencia Universitaria Erasmo ansehen.